1. The photo was taken by a Des Moines, Iowa photographer. I purchased a series of original 4×5 negatives from an eBay dealer. All showed Des Moines area veterans taken between 1944 and 1946. 2. 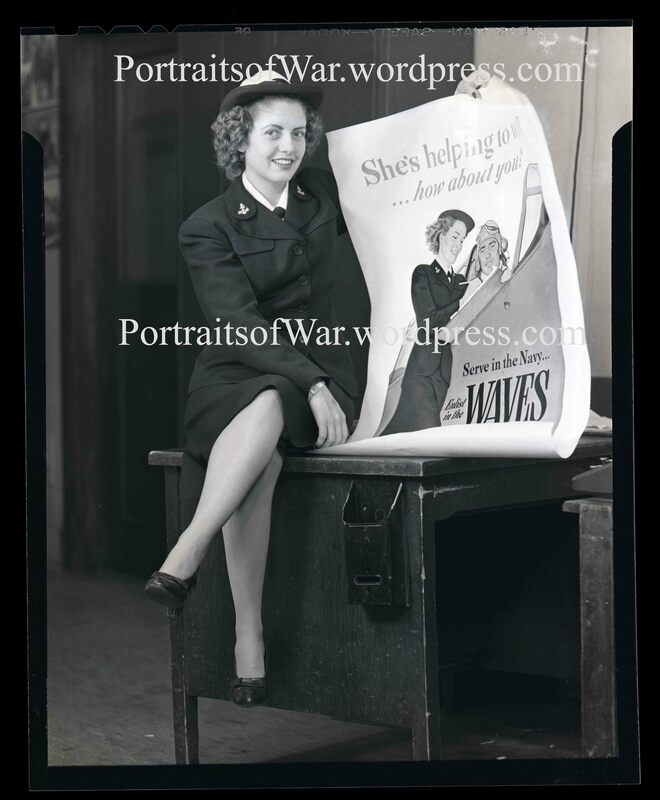 The photo depicts an attractive redhead (see poster below) WAVE volunteer. WAVE stands for Women Accepted for Volunteer Emergency Service. Was she a Des Moines native? Or was she merely in Des Moines during the war? It would be great to track her down and I need your help. Any ideas? Hello…. Did u find out the name of the wave in the portrait from des moines? My great aunt was a wave and a pin up girl ww2. 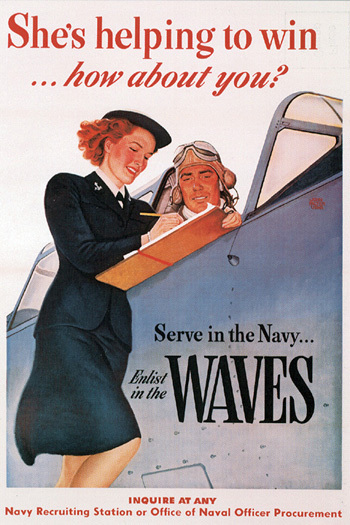 We have her wave uniform but not found any evidence of this except per my mom and deceased grpa. Mom said that side had beautiful ladies. Just curious as she was from Conrad Iowa about 45/minutes from DSM.